Dating an accountant - how do you measure love? In the balance sheet of life how do accountants account for love? While they have a way of calculating profit and loss, a little creativity may be necessary to inject the profession with a fresh approach to maintain their relevance. To this end Monash Business School has been the beneficiary of an artist-in-residence program aimed at fostering collaborative connections between art and business. The brainchild behind the program, Dr Nick McGuigan, Associate Professor of Accounting, Monash Business School, came up with the concept because he believed that if accountants don’t start investigating new and creative ways to change their profession, they will be replaced - with robots and AI automating many of the tasks they currently undertake. The inaugural artist-in-residence, Bek Conroy, investigated accounting and the everyday. This innovative event explored their creativity culminating in a dating marathon where she invited six accountants to ‘go on a 30-minute date’ with her. Everything has been captured as a live performance, creating a short film that explores value, the complexity of accounting language and the contradictions and complications of measuring the emotional aspect of our lives as humans. The film premieres on Tuesday 1 May 2018 at the exhibition "Art, Labour & Working Life", which runs from 5:30pm 1 May - 11 May at The Mission to Seafarers, 717 Flinders Street, Docklands. “We were interested in the way conceptual artists can help you look at things from different perspectives. That’s what accounting needs – a different way to break down silo-thinking and open up people’s minds to find new and different ways of creating value for organisations and society,” Dr McGuigan said. Dr McGuigan conceptualised the residency program as an innovation to break traditional thinking in accounting, using art as a way to open dialogue across disciplines and create numerous ways to engage with conversations around the future of the accounting profession. “The term ‘creative accounting’ is often used in a negative light. However creative skills are highly beneficial in our profession. So collaborating with artists just makes sense. We as a profession need to reclaim the true sense of creativity as it will be the future of all professions” Dr McGuigan said. For academics it has been a professional development opportunity to have critical dialogue around their research and teaching, its impact and the way it is told. 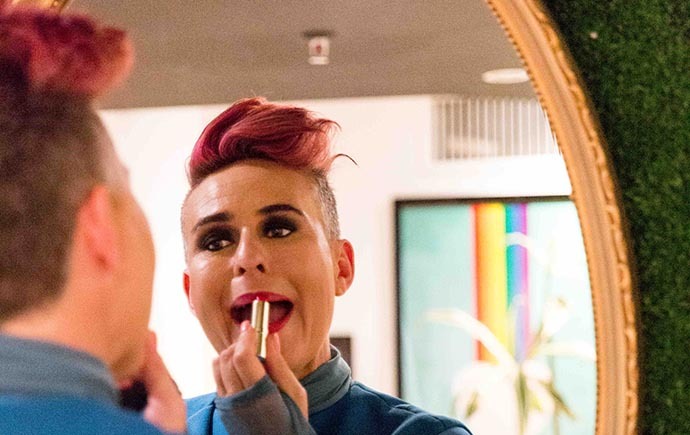 “Performance-led artistic interventions and radical provocations aim to explore the messiness of business, creating deeper, more integrated conversations that invoke new ways of seeing and playing in our work,” Bek Conroy says. Listen to an interview with Bek Conroy on ABC Radio Canberra. A trailer of the film gives you a sneak peek into the salacious world of dating an Accountant. 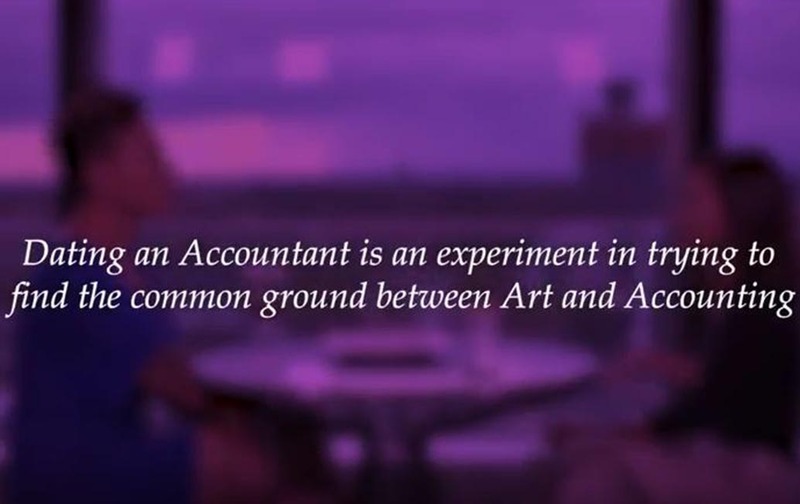 Monash Business School's artist-in-residence Bek Conroy has completed her performance-led artistic work "Dating an Accountant", creating a short film, showcasing the six accountants she invited to ‘go on a 30-minute date’ with her.